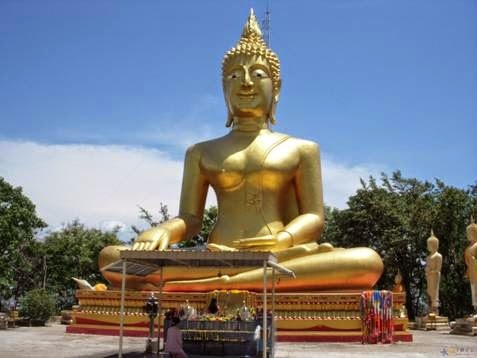 Bangkok, the capital city of Thailand, welcomes numerous tourists from different parts of the globe every year. It has diverse offerings for today's travelers in the form of modern entertainment venues and architectural marvels from a bygone era. One can get into a 'tuk tuk', a three-wheel auto-rickshaw, and explore the bustling markets of the city with ease. Every corner of Bangkok is replete with loads of action and mouth-watering varieties of Thai food. The delicious Thai dishes are served at places ranging from boats in floating markets to elegant roof-top restaurants. 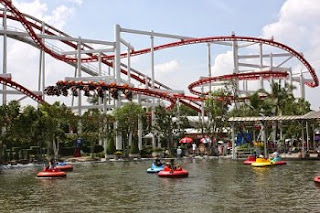 The amusement parks of Bangkok gives several options for the entire family to have an exciting time while vacationing in the city. Dance dramas, concerts, and musical performances can be enjoyed in the city's theaters and concert halls. Some of the convention centers in this part of the world exhibit interesting items like furniture, automobiles, books, gems and jewelry. For those who are interested in experiencing Bangkok's spiritual side, a visit to temples like 'Wat Pho' and 'Wat Traimit' would be truly memorable. The golden statues of Buddha in these temples never fail to astonish the travelers. Grabbing the all inclusive vacation deals available on the leading travel sites would make the trip to Bangkok city highly pleasant and affordable. Panoramic tours of the city are included in the tour packages offered on such travel sites. These packages also comprise of meals at some of Bangkok's famous restaurants. Stays of the tourists are arranged in the best hotels that are fully equipped with the latest facilities. Airport transfers are arranged for travelers as a part of these packages for their convenience. Sightseeing tours are conducted in air-conditioned vehicles for greater comfort while getting to the famous tourist locations. The service of a local English-speaking guide during such tours adds to the delight of travelers.